Actionstep: Boost Productivity, Streamline Workflow & Grow Your Revenue - TOMORROW! Are you using so-called “Practice Management” Software in your law firm that seems to do everything BUT that? Does this internal chaos leave you at the mercy of your staff? Is everyone in your office constantly “doing their own thing” and handing files “their own way,” that would make it almost impossible for you to keep all the balls in the air and service clients if they suddenly quit, or got hit by a bus? …legal work falling through the cracks? …constant interruptions from staff members who can’t figure out what to do next on client matters? …piecemealing software and tech platforms together to meet your needs? …wearing way too many hats in your law firm? IF SO, we’d like to invite you to take a FREE demo of Actionstep- a fully automated and secure cloud-based practice management system that provides a complete snapshot of any client, anytime, anywhere for you and your team. On July 29th at 2 EST, Dave Zumpano Esq., Co-Founder of Lawyers With Purpose, will host a live demonstration of this unique software that is unlike anything currently available in the estate or elder law industry. Actionstep handles every aspect of your practice—from marketing, to engaging clients, to practice management, staff workflows and client communications. All in one place, accessible from EVERYWHERE via the cloud. Dave will also share on this webinar how he is personally utilizing Actionstep in his New York law firm. This is the first time non-members can get a look into the “backend” of his practice and his strategies for effortlessly boosting productivity and revenue goals for the firm! To sign up for the webinar, simply CLICK HERE NOW TO RESERVE YOUR SPACE. Webinar space is limited! Can’t make the webinar? Simply send an email to me at mhall@lawyerswithpurpose.com to set up a private demo! We are happy to give you a tour. As of July 1, there were 176 days until Christmas. The countdown has begun. Children are adding new toys to their wish lists. Parents have started looking for deals. Business owners are looking for new ways to appeal to customers. Lawyers can learn a lot from the marketing practices of retail stores, which have had to make significant adjustments to compete with online shopping. What are some retail marketing lessons and strategies that estate planning and elder care lawyers can implement to maximize the end-of-year excitement? Buy one, get one free. A solid classic. For lawyers, offer to provide a “mirror” estate plan to a spouse for free when one spouse engages you to draft an estate plan. Black Friday frenzy. For an immediate influx of cash, create deals too good to be true and limit the time of the offer. For example, offer a Revocable Living Trust plan for the price of a Will-based plan (essentially the trust is free), but only if clients schedule an appointment by a certain date, or only if they call on a certain Friday to schedule the appointment (for a later date). Cyber Monday. Provide special pricing for clients who find you through your website or who schedule an appointment directly from your website. Success through Exposure. Retails stores spend extraordinary amounts on advertising to get the word out about their sales. You will need to do the same. It is not enough to provide discounts; the public needs to know they exist. Include the special rates and dates in your newsletter. Mail out sales flyers to your referral sources. Send your current client base a pre-season holiday letter – encouraging them to give the gift of an estate plan to their children. Add a “pop-up” on your website about the Cyber Monday deals. Budget extra money for the additional print and postage investment. The “big boys” have been planning their holiday season marketing strategies all year, rolling them out beginning in July. You are or can be one of the top dogs in your area. But, you must begin before the others and offer outrageous deals that other lawyers are not willing to do. This will get you noticed and get you clients. Embrace the energy and spirit of the holidays, plan early and enjoy the profits. Have you heard about the Lawyers With Purpose/Actionstep automated law firm CRM database workflow system for estate and elder law attorneys designed to free up your time and get the work out the door quickly and easily? If not - and you want to see it live, join us for a demo on Wednesday, July 29th at 2:00 EST. Click here to register and reserve your spot. Space is limited to register now! Victoria L. Collier, Certified Elder Law Attorney; Entrepreneur; Author; Speaker; Co-Owner, Lawyers with Purpose, LLC; Founder, The Elder & Disability Law Firm of Victoria L. Collier, PC; and Co-Founder, Veterans Advocate Group of America. I’ve worked with many professionals who tell me the key to success is “networking.” When I hear this, I always ask if their networking is “strategic?” Often, they look at me with a quizzical look. What is strategic networking? Strategic networking ensures the time you spend in networking and relationship-building is effective and most important -- measurable. Most attorneys have good relationships, but don’t track them effectively. A result you lose something precious, your time. Strategic networking ensures you actually enjoy your relationships on a personal level, not just a business level, and together your strengths and theirs can be utilized to really impact each other’s business and your community. Get strategic on Thursday, July 23rd at 2:00 EST, I am hosting a one-hour webinar entitled, “Having the Time to Have it All – Three Time Strategies to Have a Practice with Purpose and Profit”. In this webinar I will share how in just two 1½ hour meetings a week you can create strategic relationships that enable you to help more people. I will also share the way to empower your support team (rather than manage them), to grow your practice, help more people and receive the financial benefits of creating that value. You can have an effective work-life balance and enjoy your business relationships rather than dread them. Or worse, have them out of obligation. When you work strategically, you are able to identify the most effective relationships that enable you to help the greatest number of people and the specific structure you need within your firm to support that need. Click HERE to register for this one time webinar to get better relationships in less time. You don't need to work 60 hours a week to succeed. I willingly work 45 to 50 hours a week to run my seven companies (all successful), helping a lot of people, and creating value in the markets they serve. You can, too. Join me July 23rd to make your networking strategic. You’ll not only get the “how,” but for the first time on a webinar, I’ll share with you the exact tools and resources I’m using to make time-saving magic happen. Feel free to swipe and copy what I’m doing step-by-step in your own practice—I encourage you to! Start by reserving your space on the webinar HERE. The thought of thriving is ideal, but most attorneys I work with are overwhelmed and are just surviving. The reality is, as I discover their worlds, they're working long hours and weekends just to survive, just to keep their head above the water. Despite themselves, some are even thriving, but the personal cost is higher than they anticipated or want to pay. Again, the lack of time seems to show up in each of their challenges. That's why on Thursday, July 23rd at 2:00 EST, I am hosting a one-hour webinar entitled, “Having the Time to Have it All – Three Time Strategies to Have a Practice with Purpose and Profit”. In this webinar I will prove you do have enough time. The truth is, you're already doing it all, just in the wrong order. I will show you how to get the right help from others so together you can get it all done with less time required of you. I will show you how I got my work-life balance back and how you CAN run a law practice that helps a lot of people, not at the expense of you, but rather with your skills being utilized effectively. And, for the first time ever, I’m going to let you see the “backend” of my practice. I’ve never done this on a webinar before. You will see with your own eyes the platforms, systems and software that I am using to lead a successful practice that runs practically without me. In all honestly, I can now manage my staff and every client matter right from my cell phone—which can be done sitting on the beach or while watching a sports game. Talk about freedom! Register now and I’ll show you how it’s done. C’mon, what would it be worth if one hour could save you ten hours a week for the rest of your practice life? Imagine if in the time you have, you could help more people, without increasing the amount of time required of you? This is possible, but you must know and implement these three time strategies, so go now HERE to register for this one-hour event to identify what all successful people use to share their value and help more people in an organized manor. I hope you can join us so you begin to thrive instead of just survive! Considering a Vacation? Consider This! This year has been the year of vacations for me. In February, my family took its first winter break to go skiing. My children are five years old and I figured it was the best age to introduce them to the sport. In April, we went to Arizona to enjoy the desert. Then, in June, we went to the beach for a week. That made three one-week vacations within six months. Last January, I was paralyzed at the thought of being gone so much. How would the office make money in my absence? How would the work get done? Knowing this was coming, I made three necessary changes to the structure of my office. In December, I hired a full-time marketing associate. With the financial goals the team set, it was imperative that the firm extend its efforts to get our name out there and have a greater presence in the community. To help manage the increased workflow, whether I was in the office or on vacation, in December I also added an “of counsel” attorney who works in the office two days a week, meeting new clients and participating in all document signing appointments. That allows my office to accept more appointments and gives me an entire day to work on client files, since I am no longer doing the signings. More importantly, when I am out of town, we are still making money because the attorney is meeting new clients while I am gone. In March, I promoted my government assistant paralegal to “manager” and hired another full-time paralegal. The manager now supervises two government assistance paralegals, is the first-line review authority for all of their work, and prepares the first draft of any VA or Medicaid appeals. This automatically shifted my role into reviewing, not doing, and dramatically reduced my time working on files. To accommodate the workflow, I hired additional team members. Yes, overhead expenses have definitely increased. However, I never add a staff person unless the addition either makes the firm more money or creates more free time for me, or both. When it does that, it is an investment, not an expense. What do you want more of – time or money? What kind of changes to your structure are you willing to make to achieve what you want? To maximize productivity, we all need to take a vacation to rejuvenate. Don’t skip it, just plan for it. If you want to learn more about how Lawyers With Purpose can help you grown your practice and your revenue, join our Having The Time To Have It All webinar on Thursday, July 23rd at 2 EST. Register now and reserve your spot today! Victoria L. Collier, Veteran of the United States Air Force, 1989-1995 and United States Army Reserves, 2001-2004. Victoria is a Certified Elder Law Attorney through the National Elder Law Foundation, Author of 47 Secret Veterans Benefits for Seniors, Author of Paying for Long Term Care: Financial Help for Wartime Veterans: The VA Aid & Attendance Benefit, Founder of The Elder & Disability Law Firm of Victoria L. Collier, PC, Co-Founder of Lawyers With Purpose, Co-Founder of Veterans Advocate Group of America. You don't have to have a large practice to succeed, but you do need to get control of your time so you have enough of it to satisfy all the needs of your practice and your personal life. Most lawyers I work with are being pulled in so many directions based on different marketing schemes of the individual organizations that recruit them. Many attorneys belong to multiple organizations, including one for estate planning, one for Medicaid, one for VA, one for special needs planning, one for asset protection, and yet another for tax planning. And then wonder why they don’t have time to keep up with it all. Don't get me wrong, each organization has value, but the challenge I've always found is there is always a lack of time to get it done. Should you attend? If you are struggling with a work-life balance, struggling with how to run a law "business," or feel you do not have enough time in your day to get all the work done, then this webinar will be a great use of your time. Click here to register for this special webinar. In one hour, I will share with you the three key time strategies to have the time necessary to provide estate planning, elder law, asset protection, Medicaid, VA Benefits, special needs and tax planning all in the same time you have now. I look forward to sharing with you. P.S. For the first time ever, I will be showing non-members the exact technology platforms and systems that I use to manage and streamline my practice. Implementing what I’m going to teach you will not only save you a tremendous amount of time, but will finally help you lay a strong practice management foundation to take your business to the next level. Plus, YOUR STAFF WILL LOVE IT. Have them join you on the line! Do You Have The “Time” To Be An Entrepreneurial Lawyer? A great question. Many lawyers fail to see themselves as entrepreneurs. The truth is, solo and small practitioners are entrepreneurs, but most are not operating like one. So how should entrepreneurial lawyers think? As a successful entrepreneurial lawyer, I have learned the Key Essential element to thrive is managing our time. When you think of the most successful people: the United States, they get it all done in the same time we have; but they are using their time differently. Most attorneys I have worked with over the last 15 years struggle with having enough time to get it all done. That's why on Thursday, July 23rd at 2:00 EST, I will share real time effective strategies that have lead to my success. It's called, “Having the Time to Have it All – Three Time Strategies to Get a Practice with Purpose and Profit”. In this one-hour webinar I will share the time strategies I utilize in my practice that grew it twenty-fold over the last seventeen years. I will also help eliminate misconceptions of time that hold you back from having the practice you're capable of having and keeps you working late night after night, day after day. And, *for the first time ever,* I will be revealing to non-members the exact platforms and technology systems I personally use to manage my law firm, free up my time, and serve clients in a more efficient and streamlined way. Without a doubt, what you’ll learn on July 23rd is the “secret sauce” of my practice success. With a few clicks of a button each morning, I can see what everyone in the office is working on, what’s outstanding, and what matters to handle in what order to meet my projected revenue goals for the month. No more micromanaging and no more chasing my own tail each day. JOIN US on the line and let me show you what tools I’m using and how I’m making them work in my firm. Should you attend? If you are struggling with work-life balance, struggling with how to run a law "business," or feel you do not have enough time in your day to get all the work done, then this webinar will be a great use of your time. If you are struggling with how to hire the best people and have inconsistent marketing and cash flow, this webinar is for you! What is the opportunity? Simply stated, the opportunity is for those attorneys who want to provide estate planning, asset protection, Medicaid, veteran's benefits, special needs, and tax planning to clients who need these services to protect what they've worked a lifetime to earn and to preserve the dignity they deserve. What's required to implement the information will share? To become an entrepreneurial attorney you must have a strong work ethic, really enjoy what you do and be passionate about helping people. You must also be a lifetime learner and really value relationships. That’s it! These are the essential elements that you’ll need to have on your calendar. I will show you how you can and still get your work done. Click HERE to register for this time saving webinar. Even if you only utilize ONE of the three time breakthrough strategies, it will move you forward toward your quest to have the time to have it all. I look forward to sharing. That usually gets their attention and draws a frown – until I explain. Giving assets to your children defeats the very thing the client is often attempting to accomplish. When I ask why they want to give their assets to the kids, the response 99 percent of the time is that they want to protect the assets. I respond, so the way you protect your assets from your creditors and predators is to give it to your kids so those assets are subject to all their creditors and predators? Who has more creditors and predators, you or your kids? And then I get the blank stare. The key element when doing asset protection planning from general creditors and predators, or for Medicaid eligibility and long-term care, is to be properly informed of the options available. Not only can transfers in assets to the kids subject your assets to risk by the kids' bankruptcy, divorce, lawsuits, and even your child's death, but it could have adverse income tax consequences. Transfers to children are at a “carry over” tax basis to them; that is, they inherit the asset at what you paid for it. This could be extremely detrimental in the case of highly appreciated assets. In fact, it creates an income tax on sale that would not otherwise have been due, had the client held it to death and then transferred it to the children. The key point is to know how to get the best of both worlds. That's where the IPUG™ protection trust is so essential. The Irrevocable Pure Grantor Trust™ allows the grantor to be the trustee, to benefit from the trust (to the extent they so desire while understanding the impact) and to be able to change their beneficiaries or any other provisions they desire. This is very empowering to clients who traditionally believe once you create an irrevocable trust, you can't change it, you can't benefit from it, and you can't control it. In fact, you can do all three; it's just in how you do it. The core distinction in an IPUG™ trust is that you must give up only what you want to protect. For example, if you want to protect your assets, you must give up, forever, the right to own those assets. But you do not have to give up the right to control those assets, manage those assets or even get the beneficial interest and use of those assets! The most common way grantors benefit from their assets that they no longer can reach is by living in the house they have transferred to an IPUG trust, or by continuing to maintain receipt of the income and dividends from any cash investments or brokerage accounts in which they have put inside the IPUG™. Most people realize they don't really need the assets; they just need the income produced from them and want to maintain control. For those who do need access to their assets, they are not candidates for the use of the IPUG™, or any other protection trust. They would use a typical revocable living trust, which accomplishes their estate planning needs and can provide asset protection after death. That's why you never want to give the money to the kids after you die either. One of the greatest advantages seniors have is, after death, the ability to transfer their assets to their children in a trust that the children can control and benefit from any time they want – but creditors or predators can never invade those assets, for the life of the child! This includes the government, lawsuits, divorces, bankruptcies, and even nursing homes. The money is flat-out safe. Why would anyone give anything to anyone they love when they can give it to an IPUG trust that protects it for them while they're alive and for their children for their lifetimes after they're gone. If you aren't a member of Lawyers With Purpose and want to know more about what we have to offer (which is tons of technical legal support) for your estate or elder law practice, register for our Having The Time To Have It All webinar on Thursday, July 23rd at 2 EST. Reserve your spot today to learn more about creating the practice of your dreams. I wish I could claim that I don’t make mistakes. I pride myself on my precision and attention to detail, so when I do make a mistake it pains me personally as well as professionally. However, mistakes do occur, especially when you are dealing with the amount of numerical data that your team does from identification numbers, dates, money figures, and account numbers, just to name a few. I have experienced more than once the sinking feeling in my gut when I realize that I have committed an error. On two occasions, deadlines to file VA correspondence had passed – one was for filing an appeal and the other was for filing an initial application a month after the client expected us to. In each case, it cost the client money, which meant that it cost the firm money. Dwelling on the mistake will only make it worse. After having realized that you made a mistake, what do you do next? Take these five steps! For some, the first instinct may be to try to fix or cover up the mistake. Let’s hope that is not you. The second inclination may be to rush directly to the attorney and confess. While there may be some situations when you should notify others in the firm immediately – for example, you neglected a deadline that is now four hours away – in most cases you should try to devise solutions to manage or overcome the error. If you cannot personally discern a viable solution, then at the very least pull pertinent documentation or regulations to present to the attorney when sharing the problem. Be aware that with some errors, there may be no solution other than to apologize and make it right with the client. After coming up with a solution or supportive documentation, it is a priority to inform the attorney or your supervisor. This is a difficult conversation to have. For guidance on how to initiate such a conversation, refer to another Lawyers with Purpose blog post, “A Tough Conversation”. Although this is not an easy conversation to have, it is crucial to remain as professional as possible and to focus on resolution. There will be plenty of time to cry about it at home, if necessary. It is important that the attorney knows that you take such occurrences as seriously as he/she does and that you are committed to making things right. The attorney may be livid at the situation, which can appear to be directed at you. The anger or frustration should be minimized if you come prepared with solutions. After the attorney has been able to problem solve, before taking any action, the client must be informed about the problem and any possible solutions or consequences. Depending on the type of error, the communication can be by email (i.e. we misspelled your father’s name on the VA application, we will send in a statement in support of claim to correct it); by phone (i.e. we didn’t file the application as soon as we told you we should, but we are filing it now); or by written correspondence in the mail (i.e. the appeal was due last week but we missed the deadline, so these are your options). After the client has had an opportunity to respond, the next step is to implement the solution or action plan that was approved by the attorney and the client. Whatever the solution may be, act purposefully and diligently to implement it. You can tell a lot about a person’s character by the way they handle their mistakes. Finally, you must LEARN from your mistakes. You may receive a note in your personnel file or even a reprimand. You may feel unfairly punished. Taking it personally will only paralyze you from moving forward. Be proactive and analyze why the mistake happened. Were your systems or processes not followed? Are there systems and processes that need to be added? Was someone not held accountable when they should have been? By determining why the mistake occurred, you can then proceed to figure out how not to repeat it. If you don’t take this final step, then you just made a bigger mistake than the one that started you down this path. If you aren't a member and want to learn more about how Lawyers With Purpose can help you grow your existing estate or elder law practice into the practice of your dreams, join us on July 23rd for our Having The Time To Have It All webinar at 2 EST. Space is limited so make sure you mark your calendar and grab your spot today! By Sabrina A. Scott, Paralegal, The Elder & Disability Law Firm of Victoria L. Collier, PC and VA Production Coordinator for Lawyers With Purpose. Victoria L. Collier, Veteran of the United States Air Force, 1989-1995 and United States Army Reserves, 2001-2004. Victoria is a Certified Elder Law Attorney through the National Elder Law Foundation; Author of “47 Secret Veterans Benefits for Seniors”; Author of “Paying for Long Term Care: Financial Help for Wartime Veterans: The VA Aid & Attendance Benefit”; Founder of The Elder & Disability Law Firm of Victoria L. Collier, PC; and Co-Founder of Lawyers with Purpose. Building a great team that's committed to our goals. Moving to the cloud-based Actionstep system last year has made it so much easier to work from home and/or check in on things when I'm traveling. I can even log in during an RMS meeting if I want to check a particular client's status if the advisor asks. 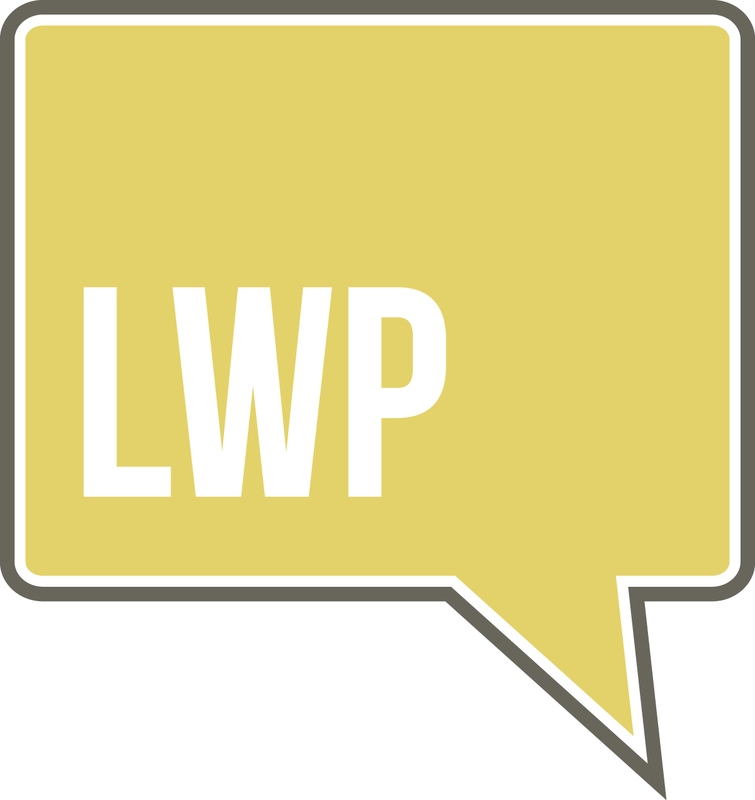 The LWP tools allow us to operate efficiently and in an organized manner. Our clients and referral sources regularly compliment us on our organization and thoroughness.